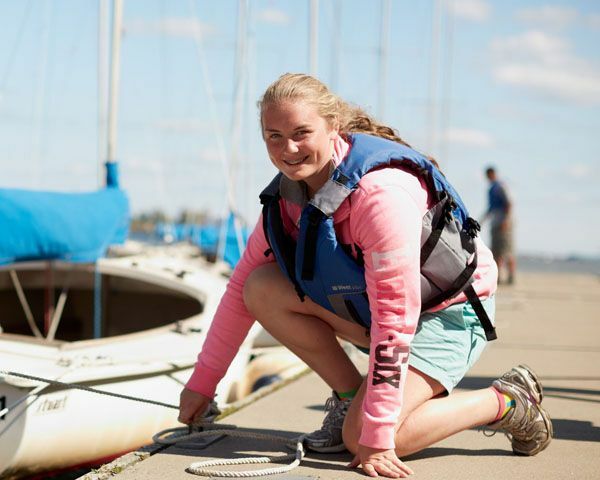 For some of us, it’s all about the big boats and thoughts of sailing around the world. 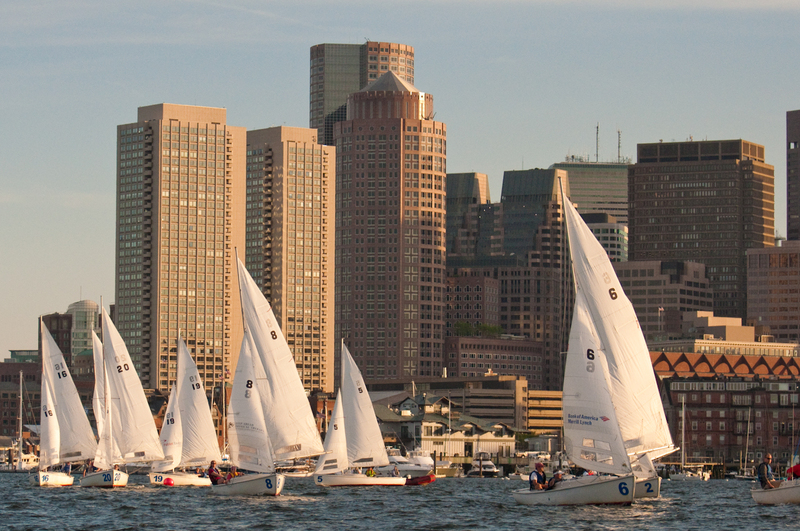 Our cruising fleet won’t take you quite that far, but it will take you around Boston Harbor and then some. 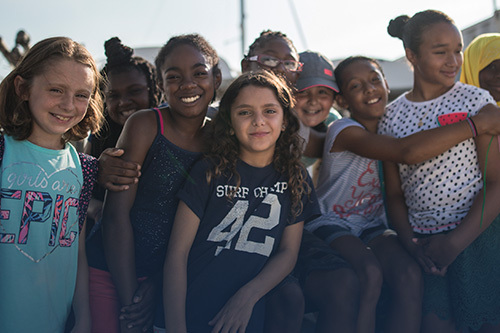 Whether you want to invite friends and family for trips around the Harbor Islands, anchor for a picnic lunch, spend a night moored or at anchor under the stars, or practice your big boat skills in preparation for a bareboat trip in the Caribbean, our cruising membership has you covered. 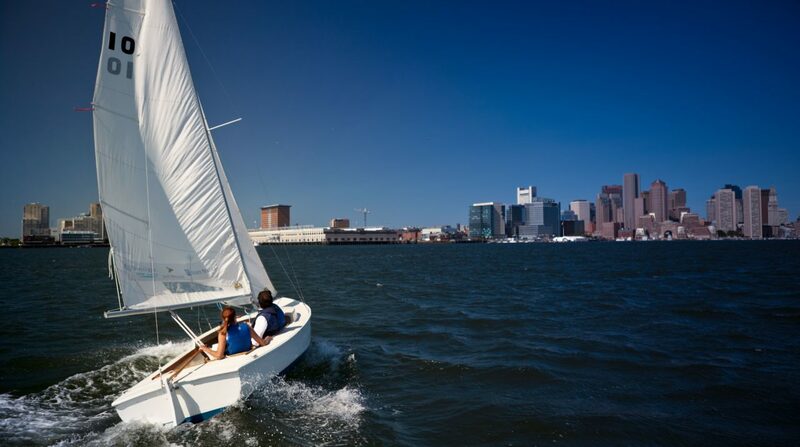 The Courageous cruising fleet provides an excellent platform to learn, gain confidence and experience as a cruiser, and to enjoy simple daysails and overnights in and around Boston Harbor, albeit without some of the bells, whistles and creature comforts of more expensive charter boats. Cruising memberships are available in full (7-day) or weekday (Monday-Thursday) options. Both include guest privileges and access to the Rhodes 19, J/22, and J/80 fleets (after passing on-the-water checkouts). The number of guests is limited to 5 or 7 depending on the size of the vessel. 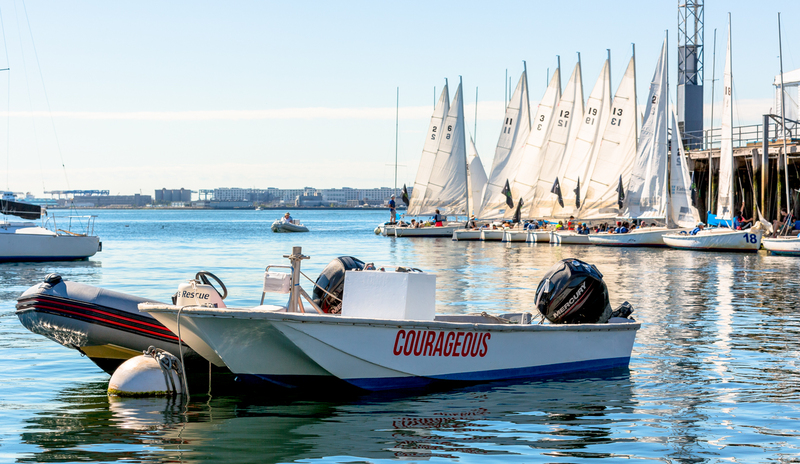 Cruising members enjoy all the Courageous membership perks: barbecues, racing, fireworks-watching parties, moonlight sails, Harbor Island camping trips, and discounts on courses, private lessons (50% off! ), and Gill apparel. Cruising members may take overnight trips for up to 2 days / 1 night. We limit all members to two standing reservations at any one time to ensure fair and equal access. 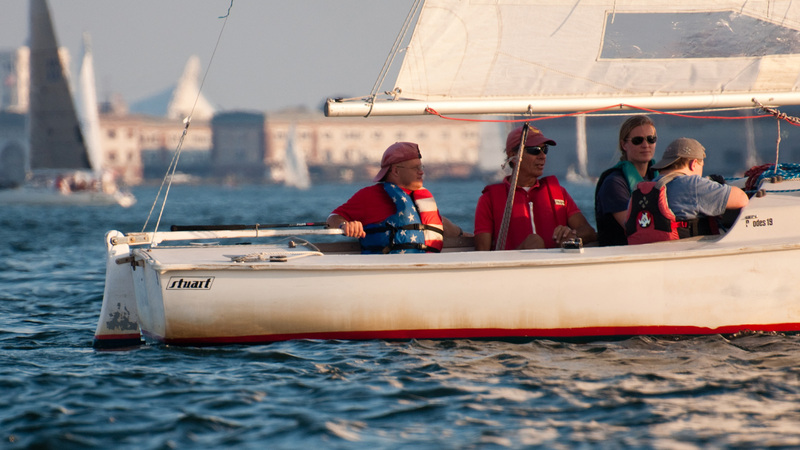 Please note that all cruising memberships are limited to a single sailing season (May 1 through October 31) and don’t “roll over” to the following year, even if purchased after May 1. As a nonprofit supporting a great mission, we are extremely fortunate to receive boats as donations. Due to our limited dock and storage, we are only able to accept boats in good condition that enhance the fleet – and this has resulted in a fleet that is improving steadily over time. In 2018 we were thrilled to add Ark En Ciel, a beautiful, easy to handle 34’ Beneteau 331 in terrific condition. Ark joins Mojito, a fast C&C 35; Watermark, a comfy Pearson 34; Blue Note, a fun Canadian Sailcraft 30, and Tashtego, a solid Tartan 30. 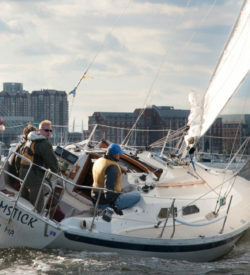 For the 2019 season, two smaller Pearson 26’s have been added to our Dorchester site and will be available to any of our cruising members. The exact composition of the fleet will continue to change – for the better, we expect – in the coming years. New for 2019 – in the interest of giving our members more access and greater flexibility – all cruising members will have access to all boats (previously we had two levels: 30’ and 34’.) 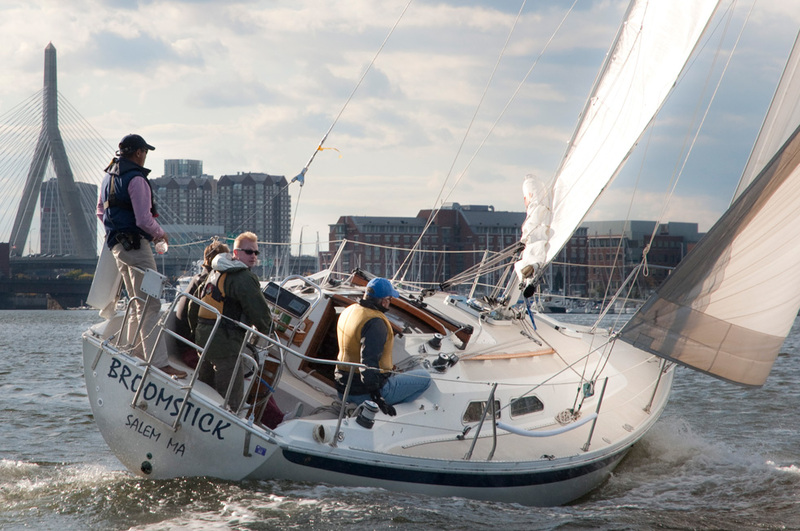 Take a quick short-handed spin around Spectacle in a 30-footer, or bring a group of friends or family out to Peddocks Island for a more spacious overnight on a 34-footer – if you’re a cruising member, each boat is yours to reserve. Note that we carefully limit our available full cruising memberships to just six per boat to ensure that everyone has plenty of access. Also, in order to meet the needs of cruising members and students for ongoing instruction, approximately one cruiser will used for teaching most weekends of the season. 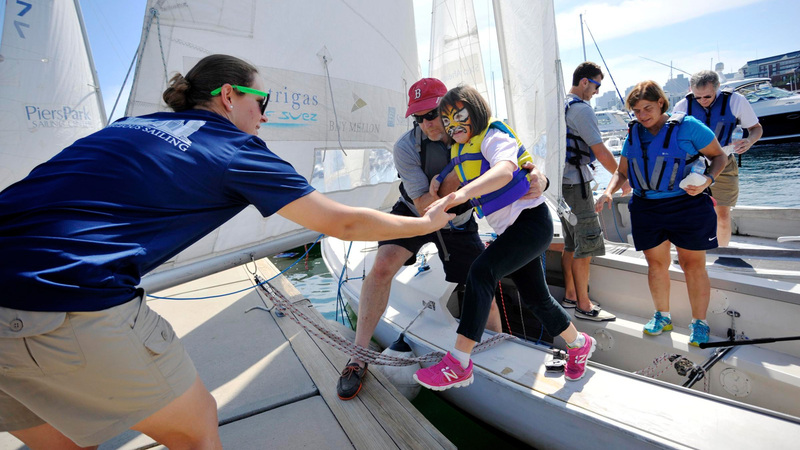 The teaching boat will rotate through different boats in the fleet, utilizing the 30-footers most (~75%) of the time. By adhering to these ratios – unchanged from 2018 levels – and limiting reservations to two per membership at any given time, we ensure ample access for all members. 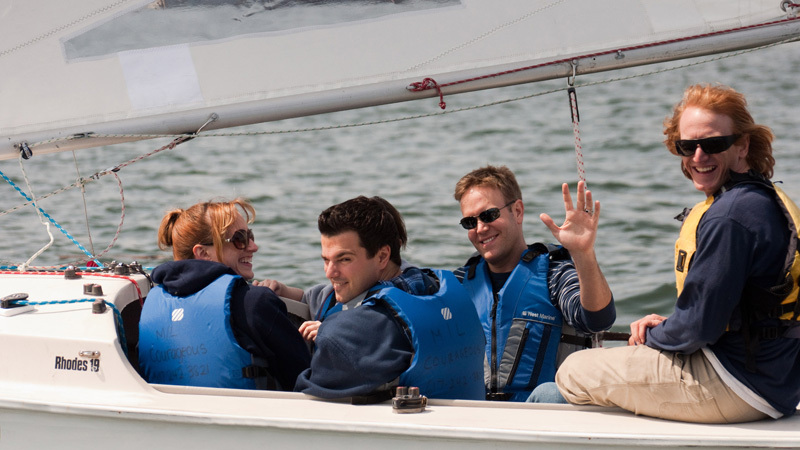 All cruising members must have sufficient experience to safely operate any boat they wish to sail. 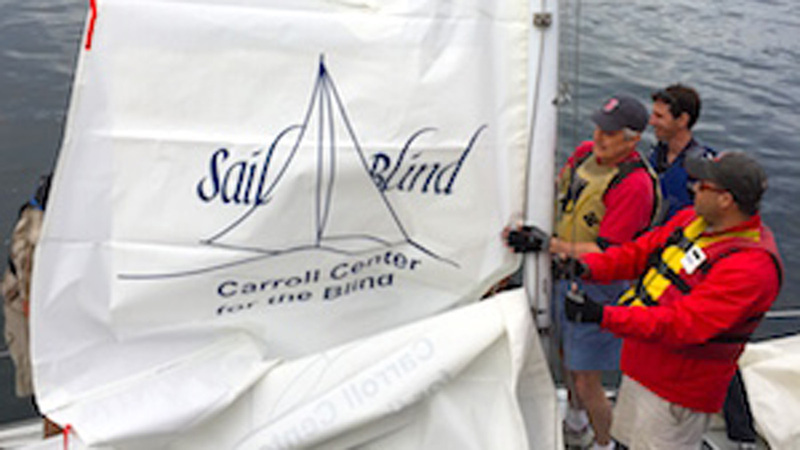 Members must successfully complete a check-out sail and orientation in advance – for each boat. 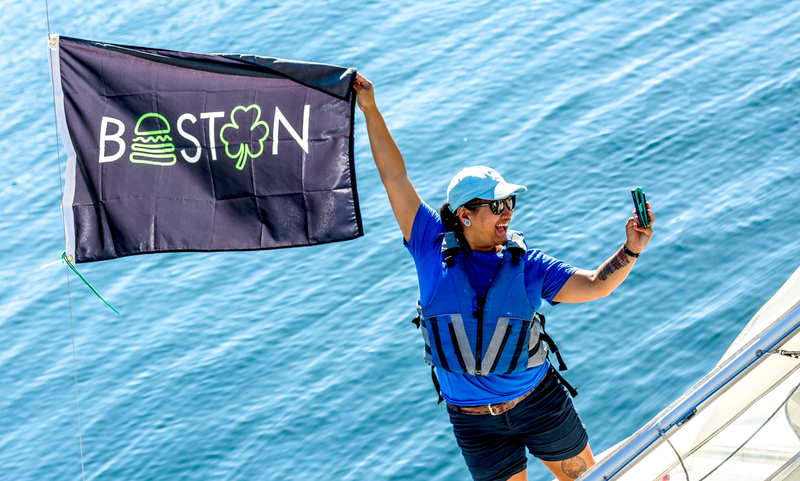 The on-land seminar “Cruising Boston Harbor and Beyond / Courageous Green Flag” is included in the membership and is required for all new members. 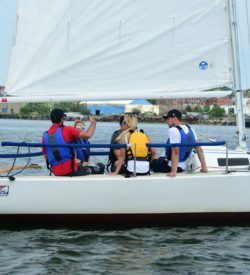 We typically recommend either private lessons or a full cruising course for anyone wishing to become a cruising member who might need some review or additional practice before passing their check-out sail. Memberships are not refundable – if you are unsure about passing a check-out, please contact our Adult Program Director, Caitlyn Ridgely, before purchasing.